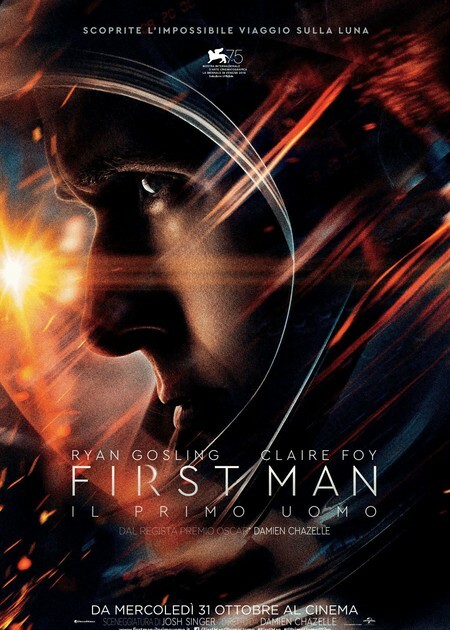 FIRST MAN - IL PRIMO UOMO - V.O.S. Trama: On the heels of their six-time Academy Award (R)-winning smash, La La Land, Oscar (R)-winning director Damien Chazelle and star Ryan Gosling reteam for Universal Pictures' First Man, the riveting story of NASA's mission to land a man on the moon, focusing on Neil Armstrong and the years 1961-1969. A visceral, first-person account, based on the book by James R. Hansen, the movie will explore the sacrifices and the cost on Armstrong and on the nation of one of the most dangerous missions in history.